Ornate architectural detail. Old Roman architecture. Part of ancient Roman capital. 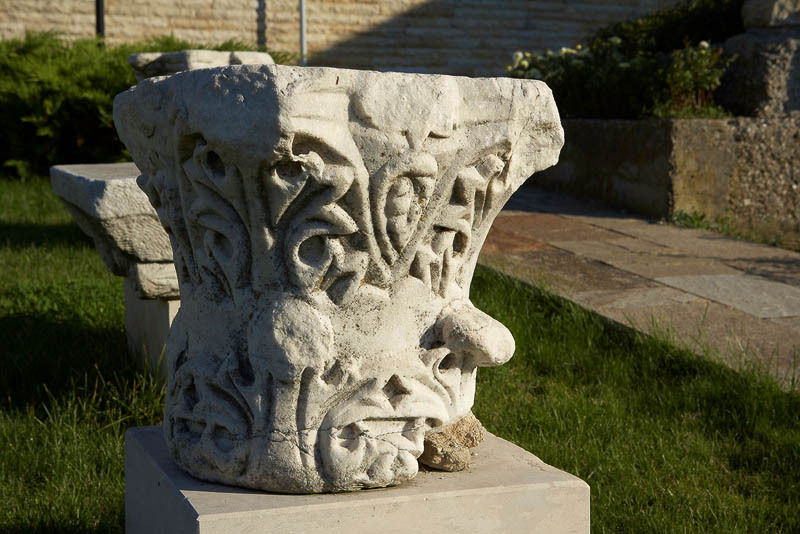 Antique Roman capital with beautiful ornaments from white marble.